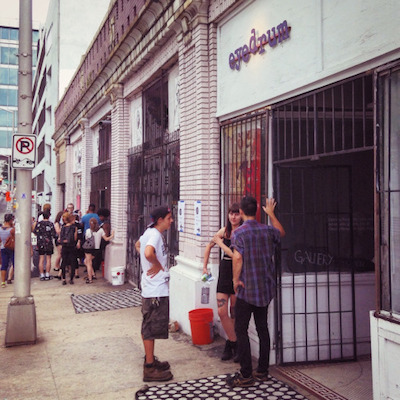 This essay traces the rise and fall of Atlanta’s skid row. It situates the transition from the old to the new homelessness in the context of urban restructuring during the 1970s and early 1980s. The profitability crisis of these years brought the golden age of capitalism to a close, ratcheted up the intensity of interurban competition, and reconfigured urban governance along neoliberal lines. 6 Against the harsh backdrop of shrinking tax bases and federal cutbacks to cities, entrepreneurial urban regimes attempted to strengthen their competitive position by turning downtowns into showcases of spectacle, consumption, and gentrification. 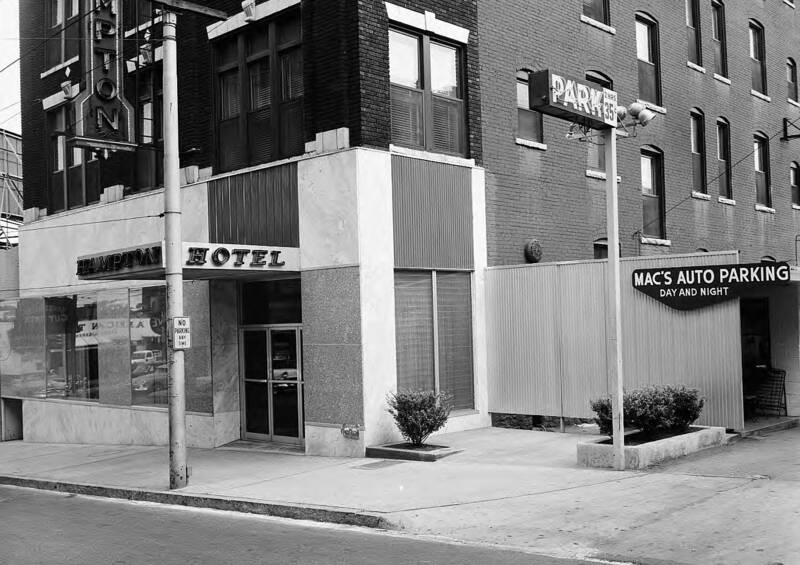 Skid rows proved no match for the drivers of downtown redevelopment, and their demise signaled the growing strength of neoliberal urbanism across the board. 7 But in sweeping away the cheap hotels that sustained skid row, the engineers of urban renaissance changed the form, not the fact, of downtown poverty. Indeed, precisely because the new homelessness lacked the spatial mooring provided by SROs, it posed an even graver threat to downtown revitalization than did the old homelessness. No sooner had homelessness been set free by the destruction of low-income housing than urban regimes scrambled to pin it back down. In time, a new institutional infrastructure of homeless social provision would be built from the ground up, its aim to move homeless people from the privileged urban core to what Talmadge Wright calls “refuse spaces” a safe distance from downtown. 8 This policy of poverty displacement has been the anchoring principle of Atlanta’s homeless management complex for the last two decades. the one across the tracks, the ‘inner city’ one, the Atlanta in the valleys and the shadows just beyond the first expressway exits one passes when leaving downtown. G. M. Hopkins, City Atlas of Atlanta, Georgia, from Actual Surveys and Records, 1878. Plate A: Parts of Wards 1, 2, 3, 4, & 5: Atlanta. Courtesy: Rose Library, Emory University. “Atlanta.” Foote and Davies Company, 1919. G3924.A8A3 1919.F6. Courtesy: Library of Congress. 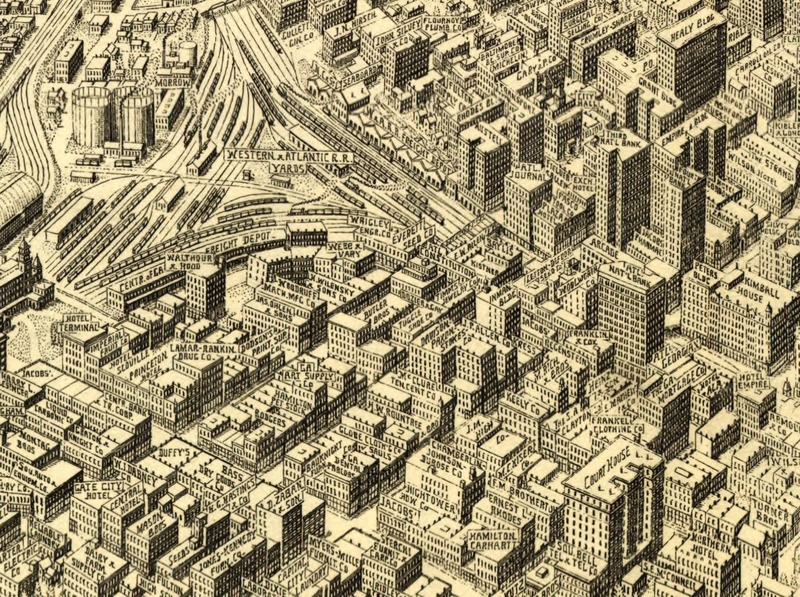 By the turn of the century, however, the South CBD was losing ground to a new competitor. 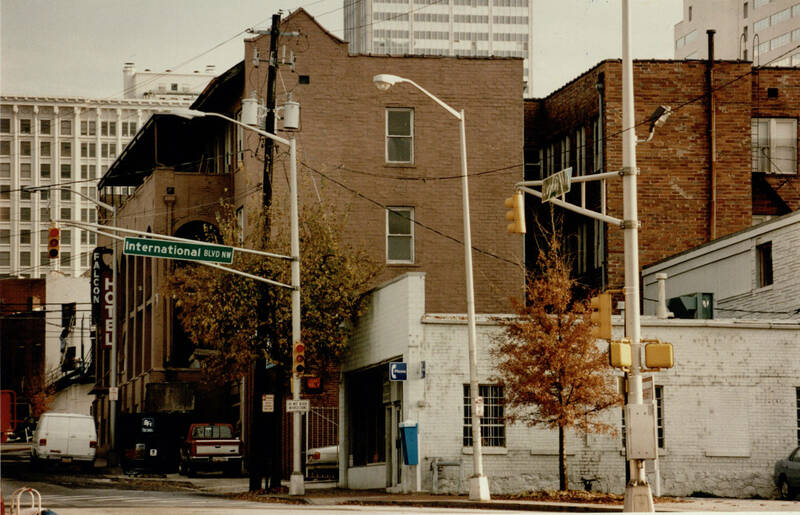 The construction of viaducts spanning the railroad tracks at Peachtree and Washington Streets knitted the two halves of the CBD together, and in so doing created rich investment opportunities north of Five Points, the hub of Atlanta. A new crop of steel-framed office towers and hotels came to dominate the North CBD’s skyline after the debut of the first skyscraper in 1892, forming a sharp contrast with the older, low-rise brick buildings of Whitehall Street. 12 As the northward migration of commercial real estate activity accelerated during the first half of the twentieth century, it left behind a business district whose glory days were clearly in the past. 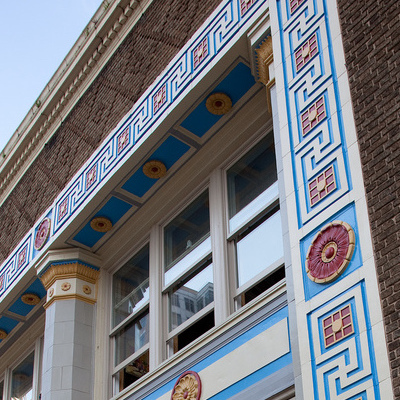 Property values in the South CBD declined, many commercial structures fell into disrepair, and landlords grew less picky about their tenants. This vicious circle of disinvestment and decay created the ideal environment in which the seeds of skid row could germinate. A deadly mix of market conditions and policy choices undermined the bus transfer market during the 1970s. The rise of regional shopping centers in the metropolitan region dealt a serious blow to the downtown retail trade, resulting in a 35 percent drop in the CBD’s retail employment between 1970 and 1975. 15 But the decline of the South CBD cannot be blamed solely on market forces. Equally important was the decision of city officials and business leaders to build a rapid-rail transit system anchored in the South CBD, despite studies showing that if the purpose of public transportation was to get Atlantans from their homes to work and back, it made far more sense to expand existing bus services. Ratified by the voters of Atlanta, Fulton County, and DeKalb County in 1971, the Metropolitan Atlanta Transit Authority (MARTA)’s rail system sealed the fate of the South CBD by destroying the physical infrastructures and social networks that made the bus transfer market viable. When the Five Points MARTA station was built, bus-to-rail transfers were dispersed to peripheral stations, and most bus routes in the central area were eliminated. This was done party for efficiency but also to eliminate the cluster of shops patronized by low-income blacks. Furthermore, the layout of the rail station did not provide convenient access to the stores around it. As a result, the businesses died or moved away. A faint echo of this once-vibrant business district remains, in the form of street vendors who set up their tables in front of the station each day. 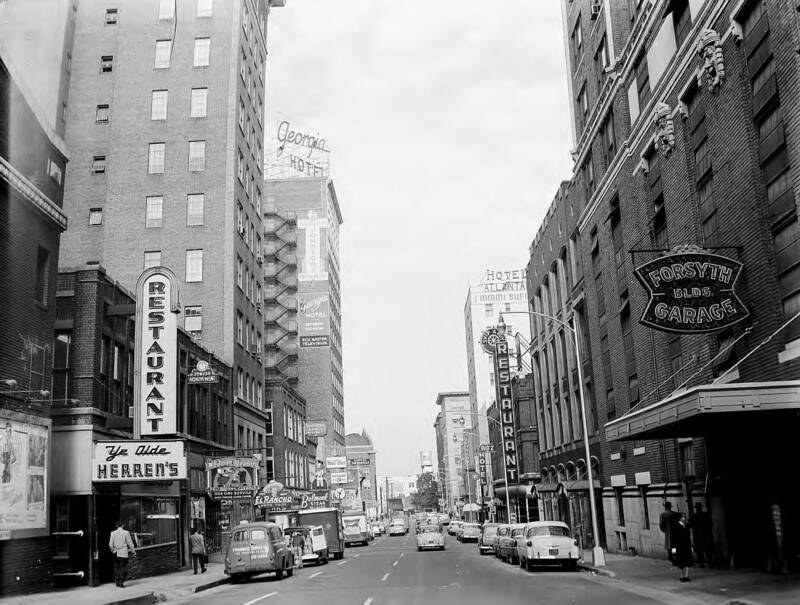 Atlanta’s “junior-sized” skid row, as one journalist referred to it in 1958, was the South CBD in microcosm. 19 In 1974 Jim Merriner, a Constitution reporter fresh out of college, was given the assignment of investigating the underbelly of downtown Atlanta. After hitting the streets and making a number of local contacts, he published a two-part exposé on the sights, sounds, and smells of the area. 20 As a historical source, Merriner’s reportage must be handled with care. He was unable to resist the temptation to sensationalize his material, leaving readers with the false impression that deviance and disorder ran rampant in the dingy haunts of skid row. On the other hand, Merriner assembled a trove of information from which we can discern how skid row actually worked for both its residents and the many actors who extracted profits from their labor. 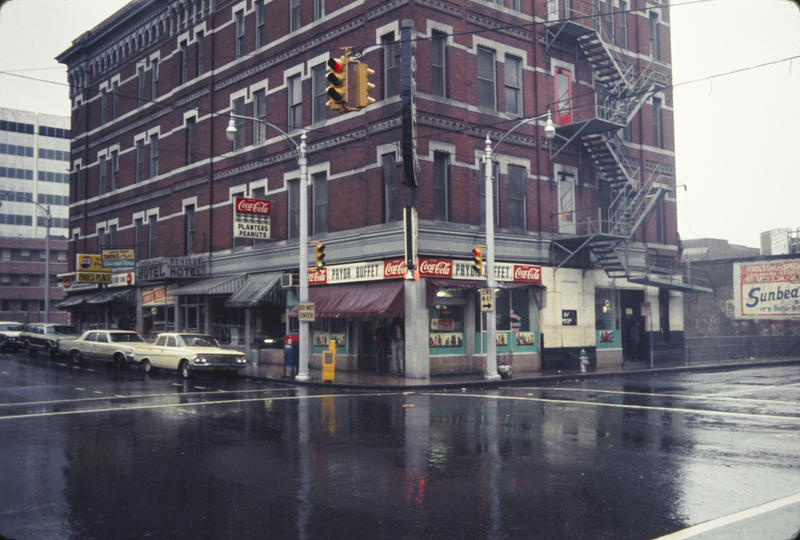 Mitchell Street of Atlanta’s “Skid Row” in 1970. V003-700328-B11, Tom Coffin Photographs. Special Collections and Archives, Georgia State University Library. The squalor of a skid row just a few blocks from the Capitol repels businesses, shoppers and tourists, perpetuates a treadmill of despair for winos and threatens to ruin the southern half of downtown Atlanta. The numerical predominance of labor pools, seven of which belonged to out-of-state corporations, reflected a simple truth that Merriner failed to grasp in his eagerness to hyperbolize: the small world in which Bennie lived was a major collection point for day laborers who worked throughout the metropolitan area. The warehouses, construction sites, and custodial services of Atlanta would have been hard pressed to turn a profit without access to skid row’s population of precarious workers. Many of the men who packed the waiting rooms of the labor agencies hoping for a $2-an-hour job were skid row residents like Bennie. Every morning, agency trucks and vans combed the streets of skid row, recruiting men as they emerged from Mitchell Street hotels or milled around Plaza Park. While Merriner claimed that most skid row residents would rather stake out a park bench and nurse their hangovers than look for work, the fleet of agency trucks circling the nodal points of skid row suggested otherwise: plenty of local men depended on the paychecks provided by the labor pools. 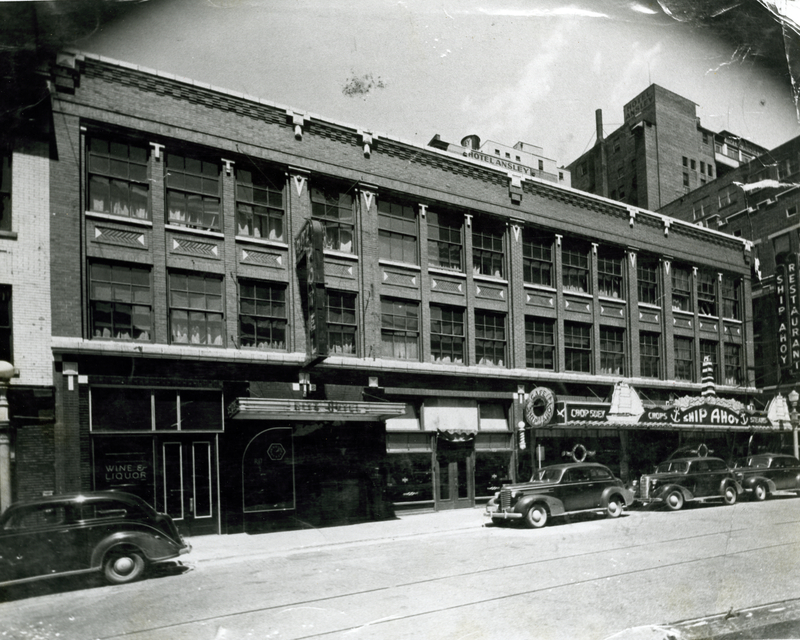 The labor offices on Mitchell, Forsyth, Pryor, Whitehall Streets, and Trinity Avenue were folded into the institutional life of skid row in ways that went beyond providing jobs. 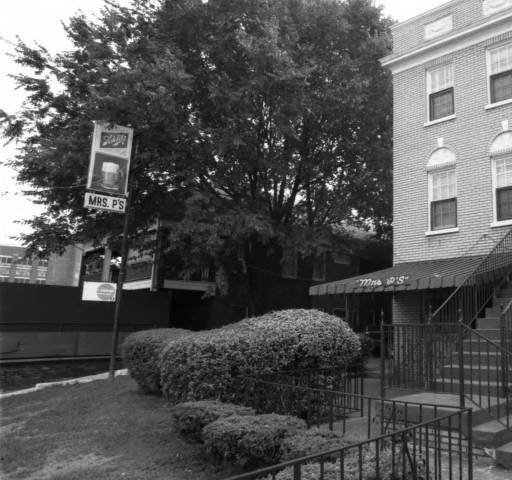 Take the case of the Atlanta Recovery Center, an institutional landmark of the neighborhood ever since its establishment by Methodist minister Howard Gardner in 1969. An ex-convict and recovering alcoholic, the “chaplain of Atlanta’s Skid Row,” as he was nicknamed by an admiring municipal judge, turned his Recovery Center into a treatment facility for alcoholics and a night shelter for “penniless men who would otherwise sleep in alleys.” 26 It is unlikely that Gardner would have been able to launch his street ministry or keep it afloat without the help of George Zakas, a local businessman who owned the building in which the Recovery Center was originally housed. 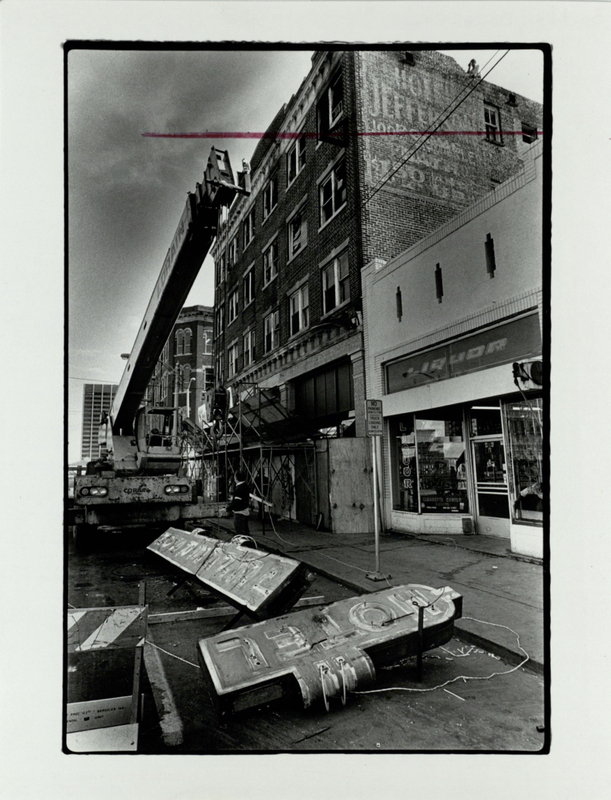 Zakas also owned and operated AAA Labor Service, located a few doors down from the Recovery Center. Asked by a reporter why he allowed skid row’s chaplain the use of his building rent-free after spending thousands of dollars on its renovation, Zakas explained, “Well I’m in the labor business. . . . We’ve got to deal with these people all day, you know, and we know what predicament they’re in. 27 Here was a partnership that leveraged the synergies of business profits and social services: the Recovery Center supplied AAA Labor Service with reliable workers who were committed to their sobriety, and in return AAA Labor Service enabled the Recovery Center to expand its treatment program into job training and placement. 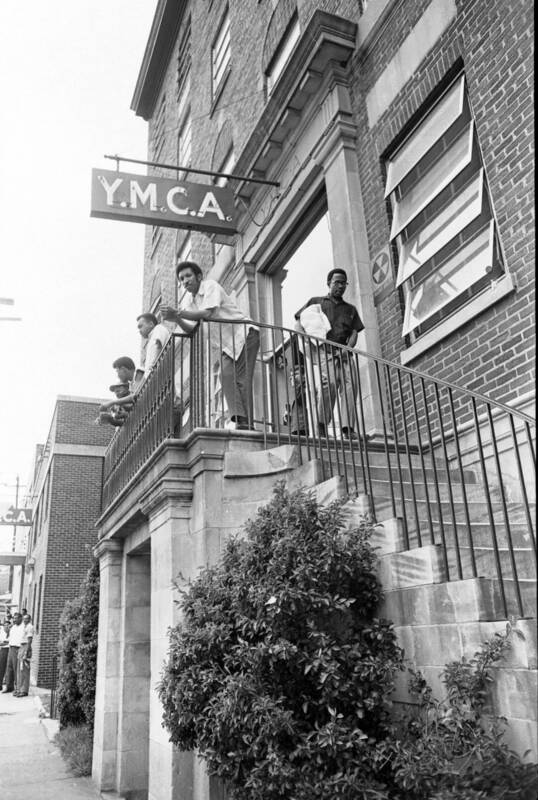 Source: Paper by Steve Cleghorn, Department of Sociology, Emory University, Project Files: Service Centers—Homeless # 3, Central Atlanta Progress Records, Atlanta History Center. Note: Cleghorn compiled this list with the help of historian Franklin Garrett. 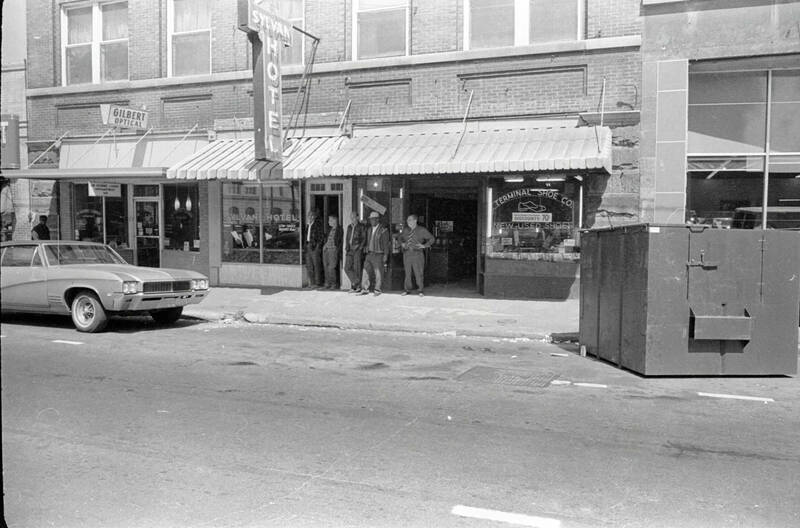 Cunningham’s 214 Auburn Ave. ? 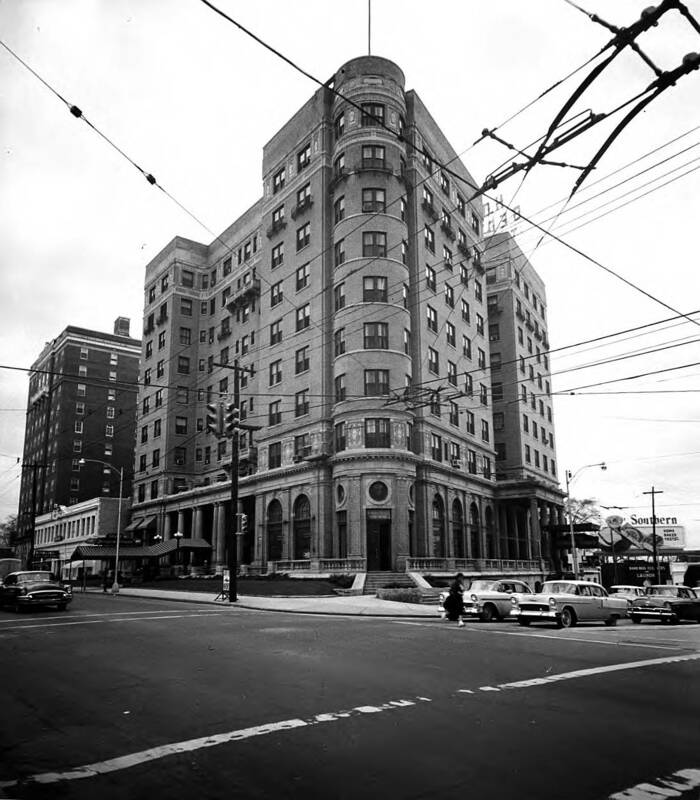 Dinkler Plaza Hotel 98 Forsyth St. NW ? Duke Hotel 420 Piedmont Ave. NE ? Jefferson Hotel 87 Pryor St. SW ? Johnson Hotel 182 ½ Auburn Ave. NE ? 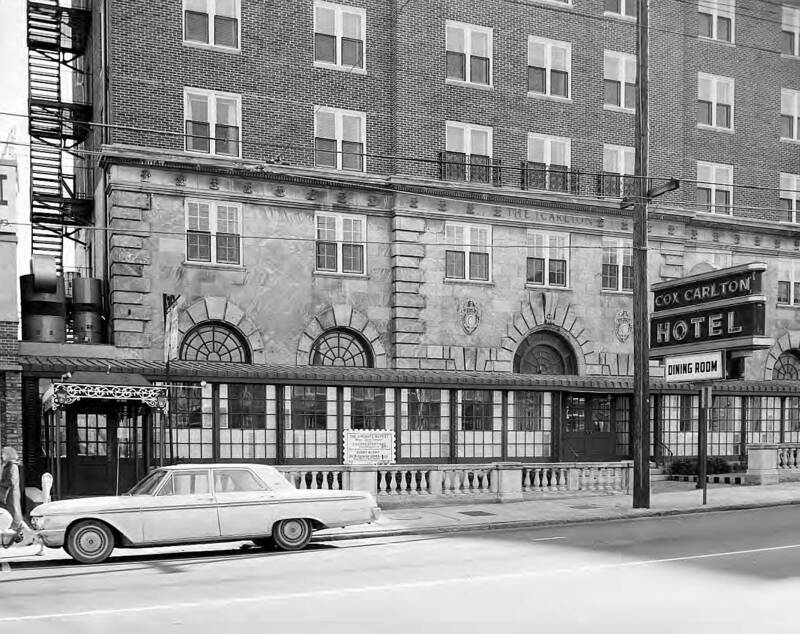 Ritz Hotel 103 Luckie St. NW ? 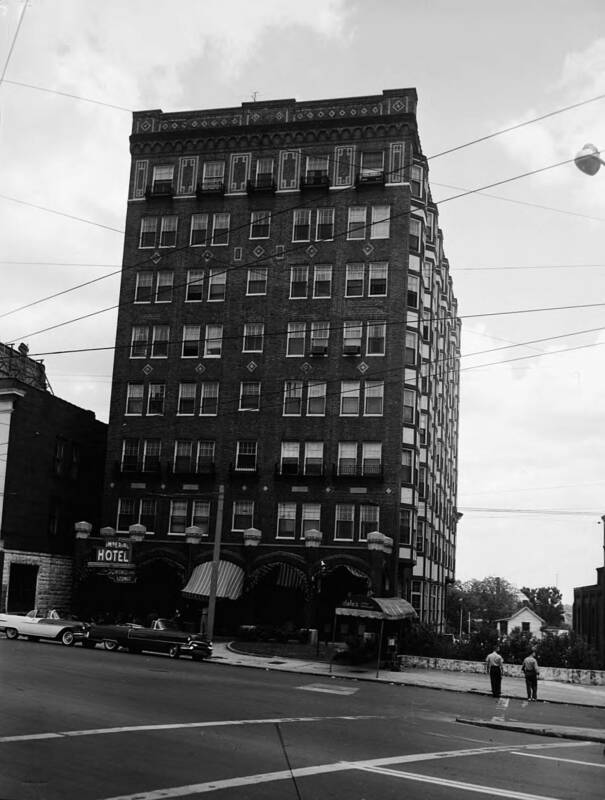 By 1987 this vital stock of low-income housing had for all practical purposes ceased to exist: only a pair of SROs remained, including the Falcon Hotel, an interior of which is pictured below. 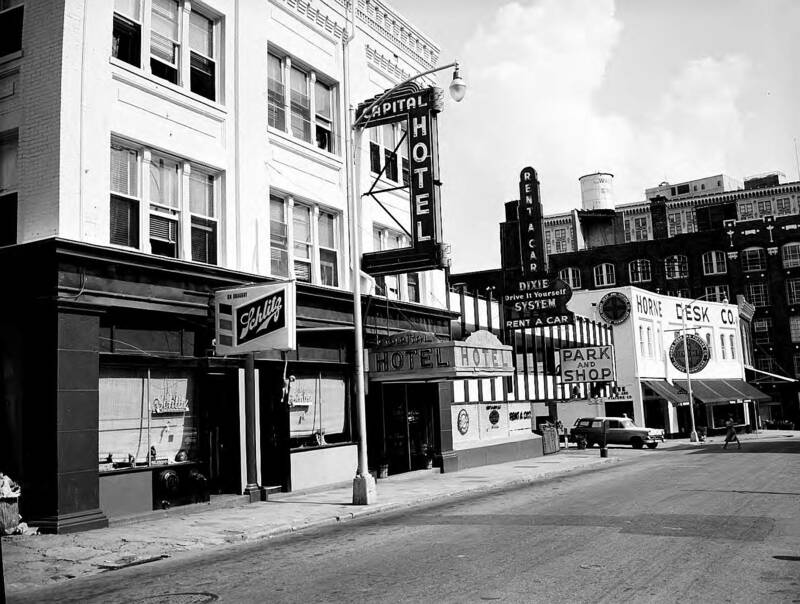 When the downtown Hampton, Capitol, and Avon hotels fell victim to redevelopment in 1983, the Constitution was forced to acknowledge that the creation of a “brassy new city” came at a significant cost. 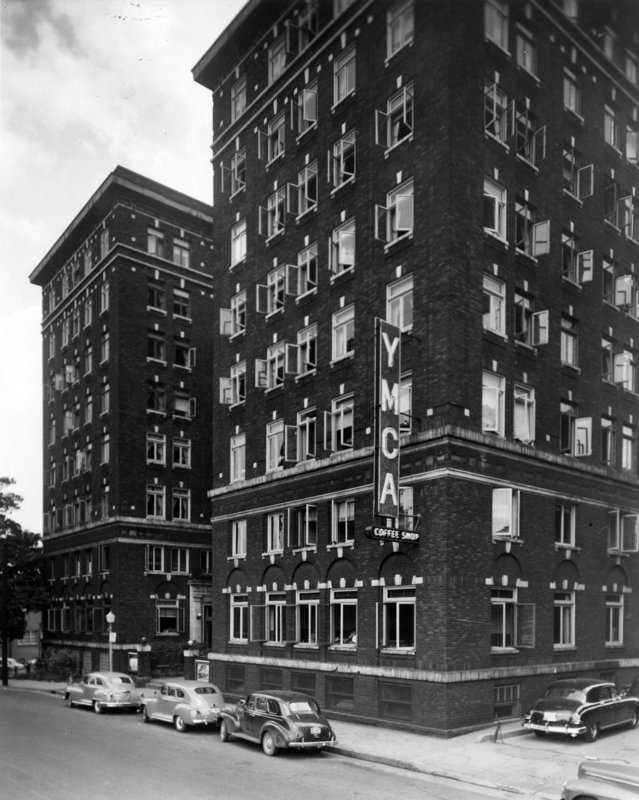 “The metamorphosis from cheap rooms to fancy businesses,” wrote the editor, “means displacement for some Atlantans, most of whom are already poor and dispossessed.” 29 The& demise of Atlanta’s cheap hotels closely tracked the rapid disappearance of SROs across the country as property owners, business organizations, and political leaders earmarked skid rows for commercial redevelopment. The absence of a strong coalition of housing advocates of the kind to be found in New York and San Francisco meant that Atlanta officials could safely wash their hands of the problem, permitting SROs to vanish quietly and permanently from the city map. A resident of the Falcon Hotel. Photo by Patrick Schneider. AJCP214-023ab, Atlanta Journal-Constitution Photographic Archive. Special Collections and Archives, Georgia State University Library. Copyright Atlanta Journal-Constitution. Courtesy of Georgia State University. Skid row’s labor pools were also buckling under the weight of these developments. The proliferation of suburban home improvement centers and the arrival of large numbers of Hispanic immigrants reconfigured the supply lines of day labor, causing informal labor pools to shift from the CBD to the northern urban periphery. 30 Home Depots supplanted skid row as the new catch-out area for day laborers. 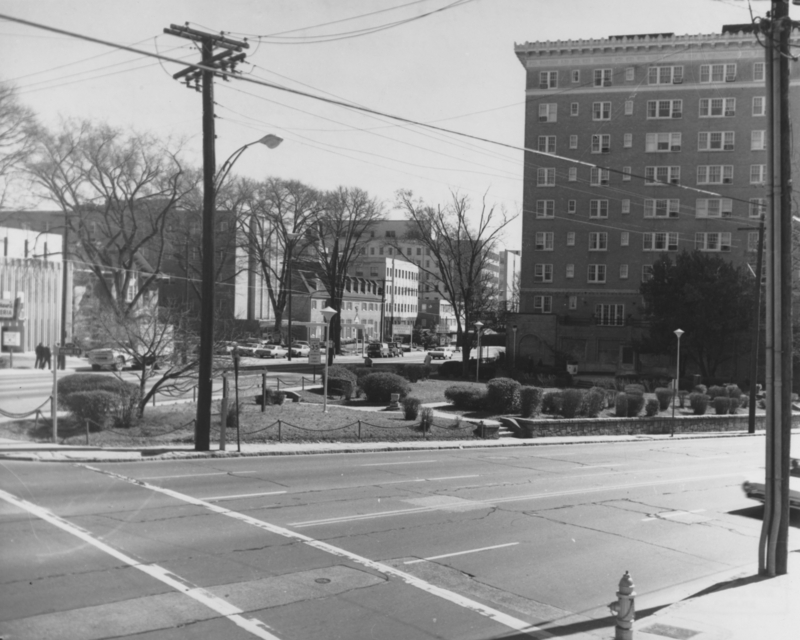 If historians were in the business of issuing death certificates, skid row’s would be dated 1988, the year bulldozers demolished the thirty-nine-year-old Plaza Park to make way for Underground Atlanta. 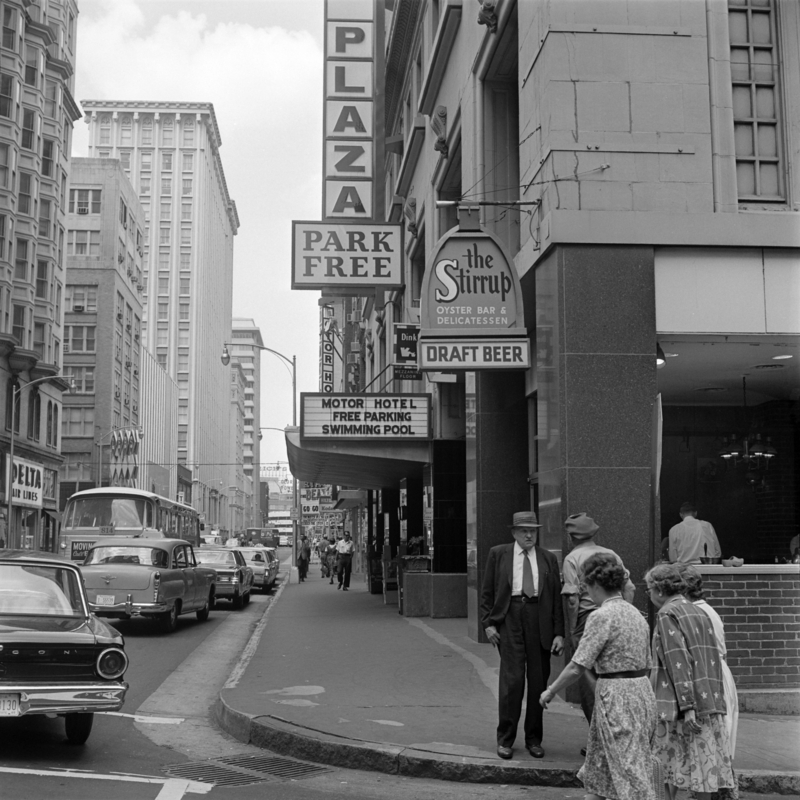 This publicly subsidized entertainment-festival complex that, Atlantans were assured by Mayor Andrew Young, would jumpstart the economic redevelopment of the South CBD. Like so many other downtown pie-in-the-sky megaprojects funded by tax dollars, Underground Atlanta turned out to be a financial disaster for all concerned, homeless people most of all. Skid row was gone, but homelessness was not. The crisis of the new homelessness had many causes, but none was more immediate or important than the loss of SRO housing, the institutional mainstay of skid row. 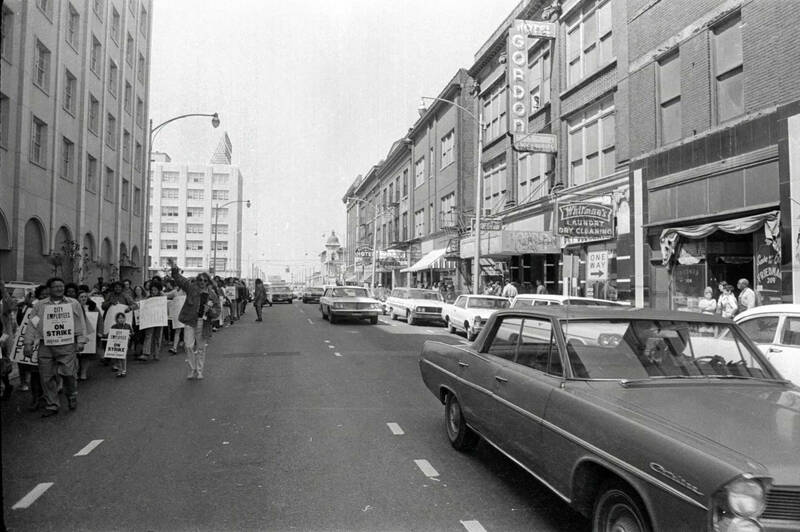 The same city officials and business leaders who worked tirelessly to remove skid row and its cheap hotels from the downtown map expressed shock and dismay when, in the late 1970s and early 1980s, homeless people suddenly began appearing in the doorways, under the viaducts, and in the streets of the CBD. 31 Three decades later, Atlanta has a vast institutional infrastructure of intake centers, treatment programs, and supportive housing facilities whose unstated goal is to funnel homeless people from the CBD to impoverished black neighborhoods on the southwest side of the city. Yet despite all the promises made and millions spent, homelessness remains stubbornly entrenched in downtown Atlanta. The critical shortage of affordable housing is the reason why. A generation ago, the sacrifice of skid row and its network of cheap hotels seemed a small price to pay for a “brassy new city”: it turned out to be higher than anyone imagined. Photo by Kenneth Walker. AJCP159-006h, Atlanta Journal-Constitution Photographic Archive. Special Collections and Archives, Georgia State University Library. Copyright the Atlanta Journal-Constitution. Courtesy of Georgia State University Library. Charles G. Steffen is Professor of History at Georgia State University and the author of The Mechanics of Baltimore: Workers and Politics in the Age of Revolution, 1763–1812, From Gentlemen to Townsmen: The Gentry of Baltimore County, Maryland, 1660–1776, and Mutilating Khalid: The Symbolic Politics of Female Genital Cutting. He is currently working on a book tentatively titled Downtown Delusions: The Politics of Homelessness in Atlanta. 1. ↵ The scholarly literature on homelessness is quite large. For two recent works that examine homelessness as a site of neoliberal social regulation, see Craig Willse, The Value of Homelessness: Managing Surplus Life in the United States (Minneapolis: University of Minnesota Press, 2015); Vincent Lyon-Callo, Inequality, Poverty, and Neoliberal Governance: Activist Ethnography in the Homeless Sheltering Industry (Toronto: University of Toronto Press, 2008). 2. ↵ Kenneth L. Kusmer provides a useful overview of homelessness and skid rows during the post-World War II period in Down and Out, on the Road: The Homeless in American History (New York: Oxford University Press, 2002), 221–238. 3. ↵ Ibid, 230–232. For older treatments of skid rows as containment areas for disaffiliation, see Donald Bogue, Skid Row in American Cities (Chicago: University of Chicago Press, 1963); Howard Bahr ed., Disaffiliated Man: Essays and Bibliography of Skid Row, Vagrancy and Outsiders (Toronto: University of Toronto Press, 1970); Howard M. Bahr and Theodore Caplow, Old Men Drunk and Sober (New York: New York University Press, 1973); Samuel E. Wallace, Skid Row as a Way of Life (Totowa, N.J.: Bedminster Press, 1965). Kim Hopper provides an overview of ethnographic work on homelessness in Reckoning with Homelessness (Ithaca and London: Cornell University Press, 2003), 57–116. 4. ↵ Charles Hoch and Robert A. Slayton, Old Homeless and New: Community and the Skid Row Hotel (Philadelphia: Temple University Press, 1986). 5. ↵ Kusmer, Down and Out, on the Road, 239. 6. ↵ My understanding of the profitability crisis of the mid 1960s and 1970s is informed by Anwar Shaikh, “The First Great Depression of the 21st Century,” in Socialist Register 2011: The Crisis This Time, eds. Leo Panitch, Greg Albo, and Vivek Chibber (New York: Monthly Review Press, 2010), 44–63; and Michael Roberts, The Long Depression: How It Happened, Why It Happened, and What Happens Next (Chicago: Haymarket Books, 2016), 59–64. For the reconstitution of urban governance under neoliberal capitalism, see David Harvey, “From Managerialism to Entrepreneurialism: The Transformation in Urban Governance in Late Capitalism,” Geografiska Annaler. Series B, Human Geography, 71 (1989): 3–17; and Neil Brenner and Nik Theodore, eds., Spaces of Neoliberalism: Urban Restructuring in North America and Western Europe (Malden, Mass. : Blackwell, 2002). 7. ↵ The classic work on neoliberal urbanism remains Neil Smith, The New Urban Frontier: Gentrification and the Revanchist City (New York and London: Routledge, 1996). 8. 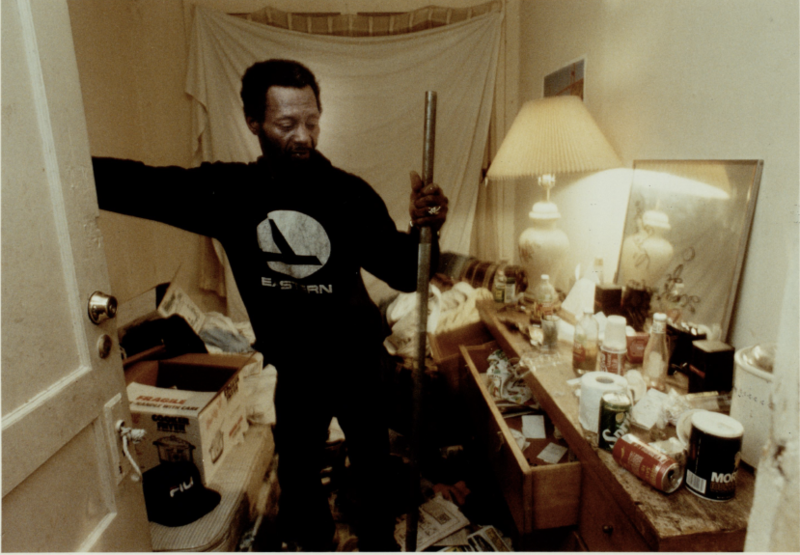 ↵ Talmadge Wright, Out of Place: Homeless Mobilizations, Subcities, and Contested Landscapes (Albany, N.Y.: State University of New York Press, 1997), 106–109. 9. ↵ Atlanta Constitution, Jan. 8, 1974, 7A. 10. ↵ James Michael Russell, Atlanta, 1847–1890: City Building in the Old South and New (Baton Rouge and London: Louisiana University Press, 1988), 116–145. 11. 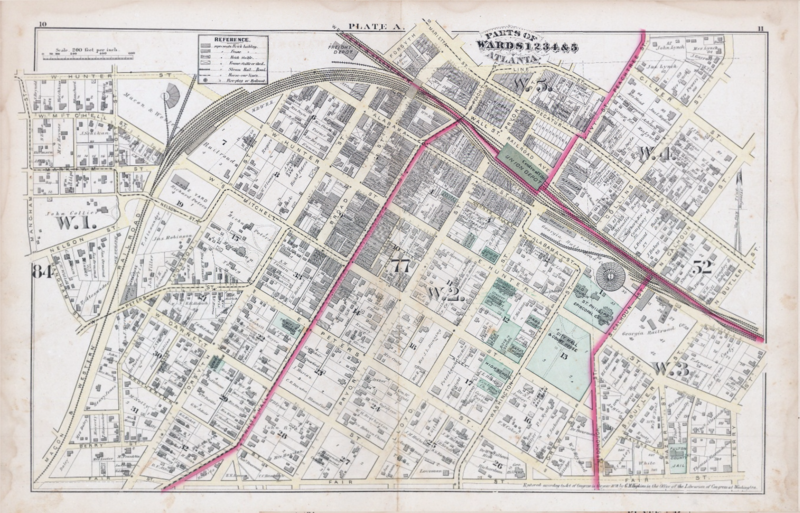 ↵ G. M. Hopkins, City Atlas of Atlanta, Georgia, from Actual Surveys and Records (Baltimore: Hopkins, 1878), http://disc.library.emory.edu/atlantamaps/1878-atlas/. 12. ↵ Elizabeth Anne Mack Lyon, “Business Buildings in Atlanta: A Study in Urban Growth and Form” (PhD diss., Emory University, 1971), 202–297. 13. 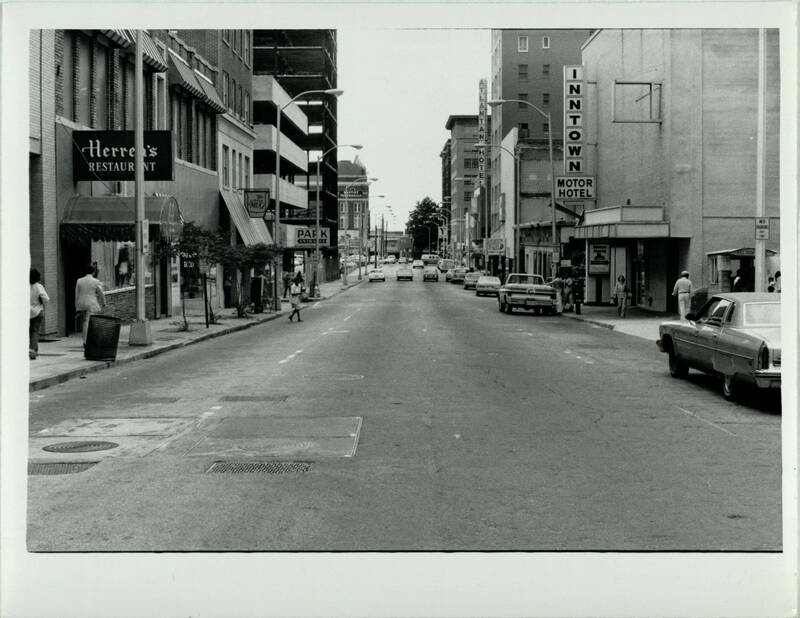 ↵ Philippa Ahuja and Ned O’Hearn, Commercial Revitalization in Atlanta (Atlanta: Research Atlanta, 1978). 14. ↵ Ibid, 7, 10. 16. ↵ N. D. B. Connolly, A World More Concrete: Real Estate and the Remaking of Jim Crow South Florida (Chicago: University of Chicago Press, 2014). 17. 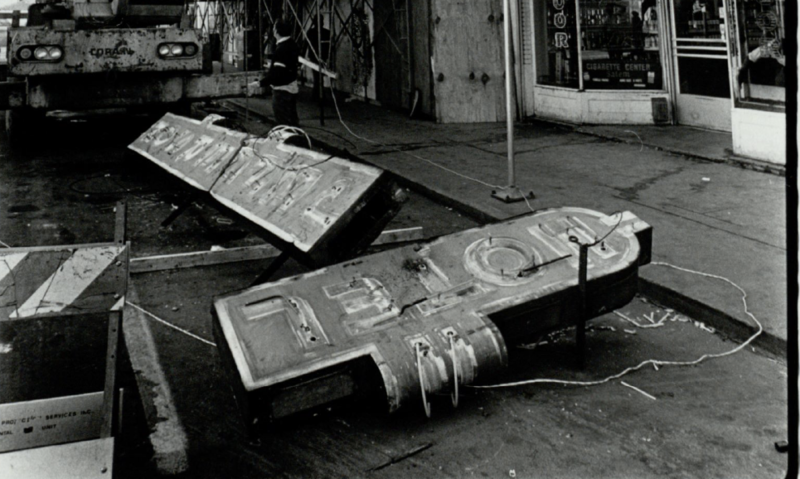 ↵ Larry Keating, Atlanta: Race, Class, and Urban Expansion (Philadelphia: Temple University Press, 2001), 93. 19. ↵ Atlanta Constitution, May 11, 1958, 7B. 22. ↵ See note 3. 23. ↵ Atlanta Constitution, Aug. 5, 1974, 13A. 25. ↵ Atlanta Constitution, Aug. 6, 1974, 15A. 26. ↵ Ibid, Apr. 2, 1971, 8B; Mar 7, 1970, 8A. 27. ↵ Ibid, Dec. 11, 1969, 11A. 28. 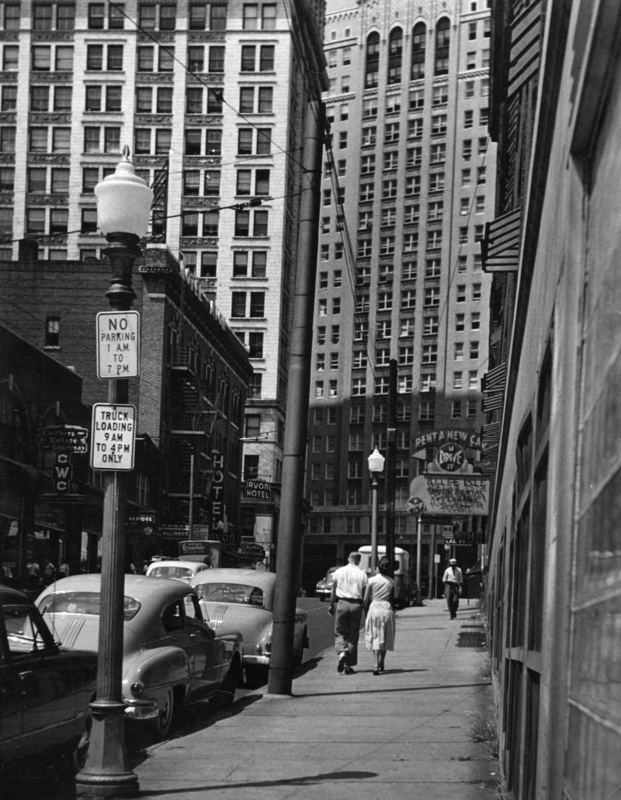 ↵ Paper by Steve Cleghorn, Department of Sociology, Emory University, Project Files: Service Centers—Homeless # 3, Central Atlanta Progress Records, Atlanta History Center. 29. ↵ Atlanta Constitution, Nov. 26, 1983, 2B. 30. 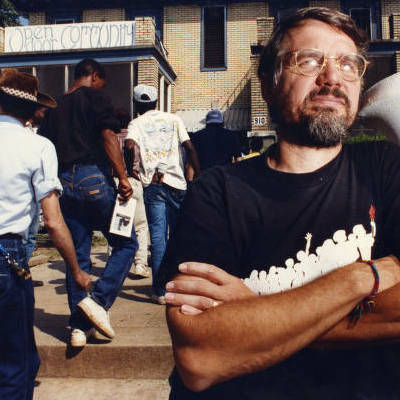 ↵ Terry Easton, “Geographies of Hope and Despair: Atlanta’s African American, Latino, and White Day Laborers,” Southern Spaces (Dec. 21, 2007); accessed Oct. 28, 2016, https://southernspaces.org/2007/geographies-hope-and-despair-atlantas-african-american-latino-and-white-day-laborers. 31. ↵ For the history of homeless regulation in Atlanta see, William Wyatt Holland, “Who is my Neighbor? Framing Atlanta’s Movement to End Homelessness, 1900–2005” (PhD diss., Georgia State University, 2009); and Charles G. Steffen, “The Corporate Campaign against Homelessness: Class Power and Urban Governance in Neoliberal Atlanta, 1973–1988,” Journal of Social History 46 (2012): 170–197.